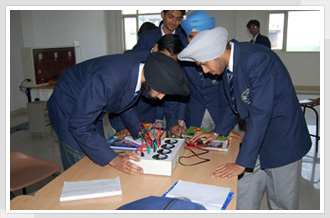 Programme Title Diploma course in Electrical Engineering. This course deals with the maintenance, repair and production of electrical equipment and systems. To do maintenance, repair and production of electrical equipment and systems. To procure, inspect and test electrical and electronic engineering materials. To design wiring schemes for domestic and power installation , to draw layouts for wiring diagram, to understand and interpret the drawings prepared by others according to Indian standards and relevant Indian Electricity Rules. To perform the duties of installation, operation, maintenance and testing of measuring instruments. To do industrial installation, laying cables, earthing, installing motors with their accessories, wiring testing of contractor control circuits and motor winding. To design and modify electrical control circuits, to carry out trouble shooting in control circuits. To install, erect, and commission the power equipment. In the field of Generation, Transmission and Distribution of Electrical power. Executive and supervisory control in power stations or sub-stations, transmission and distribution networks. Installation, maintenance and repair of a variety of electrical equipment. Private Industries and firms dealing in the field of Meters and manufacturing and sale of variety of electrical equipment.